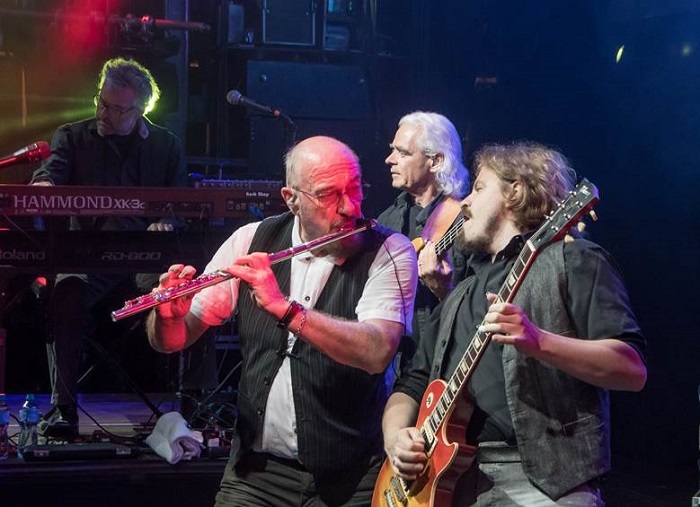 ROCK legend Ian Anderson is coming to play a concert at Wells Cathedral. The lead singer with rock band Jethro Tull will be performing The Christmas Jethro Tull Concert at the Cathedral in December. Over the past 12 years, Anderson has performed in many of the great cathedrals and churches in the UK helping to raise much-needed funds for their preservation. Based on a Christmas-themed concert, he features prominently the work of Jethro Tull as written and recorded by him since 1968. Added to this are several pieces of re-worked Classical repertoire and traditional pieces from the musical liturgy of the Church of England. The Cathedral’s choristers will also be performing at the concert. Anderson said of the show: “Whether your Christmas is a secular affair of gift-giving and family gatherings or a more worshipful recognition of one of the two biggest days in the Christian calendar, join us for some uplifting Christmas spirit, music, readings and maybe even a prayer or two. “The bringing together of people of all backgrounds, cultures and faiths in this way is possible, perhaps, only under the auspices of modern Christianity, especially the Anglican Church. So, if I can help to draw people in to these beautiful and historic buildings to savour just a little of the spirit of Christmas, it seems like a worthwhile effort. The concert will take place on Friday, December 13, at 7.30pm.